Doll maker Ann Hord-Heatherly and indigo dyer Eileen Hallman were featured in the Fall 2017 issue of Carolina Home + Garden magazine. Check out the articles "Real Men Buy Dolls" on Ann's work and "Rhapsody in Blue" on Eileen's. Liz Spear and Neal Howard attended MidWest Weavers’ Conference in mid-June as vendors; their four entries into the Fashion Show all won awards! Neal’s two Plaza Jackets won a Third Place ribbon and a Best Interpretation of Category. Liz’s awards included a First Place for the Copper River collaborative dress w/Chain Maille Capelet made with David Alberts and Ruthie Cohen for the SHCG Fellowship Exhibition last year, and the Black-n-White Celebration Coat (pictured) won Best of Show. 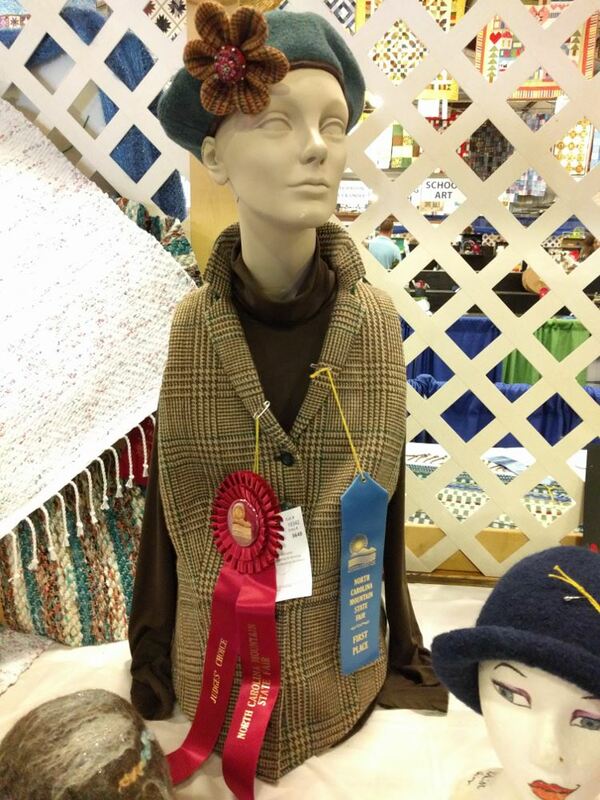 Local Cloth member Marjorie Warren was honored to receive First Place and Best of Show at this year's Mountain State Fair for her Highland Mist Vest and matching Tam. 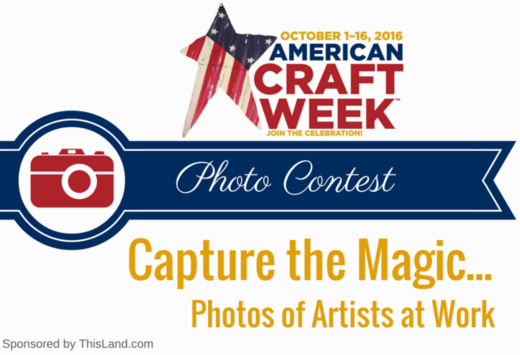 Local Cloth is part of a national celebration of craft again this year, and your picture can win a prize if you submit it online before September 26th. We'll have demos and classes at our Studio for the 1st three weekends in October, and members will have the opportunity to display and sell their work. See this article in Our State magazine about the knitted baby blanket that won the Made in NC Home & Garden category.